Srinagar, Mar 10: Inspector General of Police Kashmir S P Pani on Sunday directed police officials to hold frequent public interactions so that a strong bond is created between public and police. He also stressed on institutionalization of public deliverance systems within the police department which he said will facilitate quick disposal of work particularly prompt disposal of verifications received at the police stations. 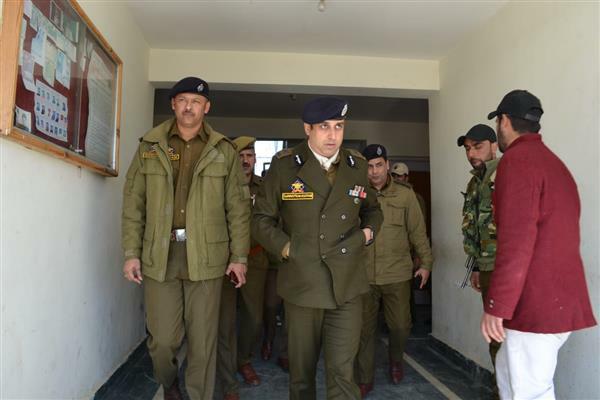 IGP Kashmir on Sunday visited the frontier district Kupwara where he inspected local police stations and held a detailed interaction with the citizens of the district. During his visit, IGP Kashmir was accompanied by DIG NKR Suleman Chaudary, SSP Kupwara Ambarkar Dinkar and other senior officers of the district. 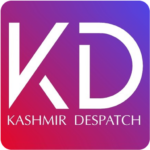 He paid rich tributes to the slain police personnel at DPL Kupwara. He visited PS Trehgam and PS Kupwara where he carried out casual inspection and interacted with the personnel and heard them patiently. S P Pani also reviewed the functioning of CCTNS projects at both the police stations while highlighting the need for achieving transparency in the functioning of police department. He directed the officials for holding frequent public interactions so that a strong bond is created between public and police. He also reviewed the functioning of the police communications systems at Kupwara. Later, IGP Kashmir according to GNS held a detailed interaction with the people of Kupwara at Dak Bunglow, which saw participation of a large number of people including members of transport association, traders and civil society members of the district. S P Pani received a very warm welcome from locals and heard the suggestions put forth by the community members. He assured the locals of citizen centric policing and complete cooperation for all such societal initiatives aimed at the betterment of society. The citizens appreciated the recent efforts launched by JK Police against the menace of drug addiction. IGP assured the people of professional policing especially for curbing of social crimes including the menace of drug addiction. He directed the officials to broaden the scope of civic action programs so that the benefit of such schemes trickles down to the public at large. He also assured the student community of support for facilitating their coaching for competitive examinations. Police will work with the citizens of state for a clean, dedicated and honest policing, he said.